While acknowledging that there is not a great deal of information (that doesn't come in the form of product marketing) readily available about the specifics of mine surveying for students or potential students, we have a fundamental goal of bridging this gap by providing an interesting outlook on the profession to introduce, encourage and inspire the next generation of surveyors. Surveying is a rewarding career choice, providing challenges and responsibility in everyday work. It is a profession suitable for analytical thinkers with an interest in spatial information and discovery of the world around us. 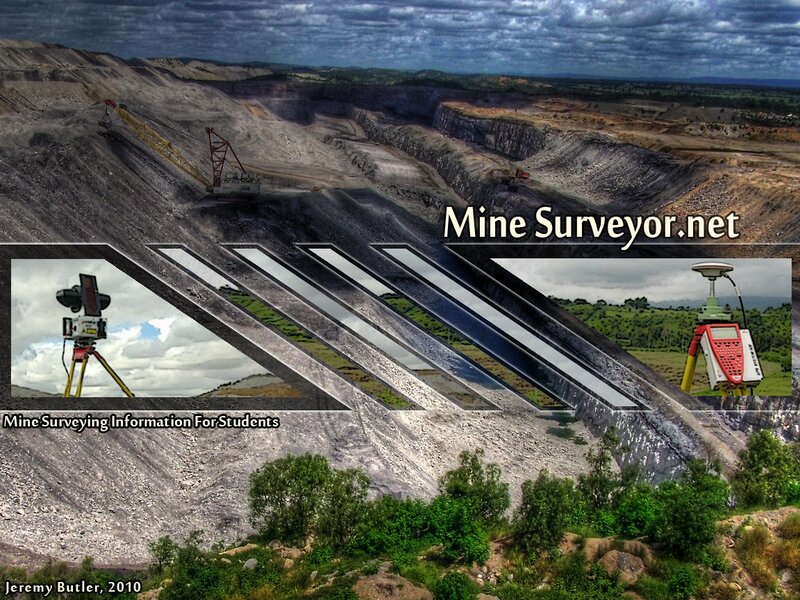 Furthermore, mine surveying provides challenges in everyday tasks while also providing an enjoyable, rewarding career. There are also different types of mine surveyors, with options to work underground, open cut or both, and in the coal industry or various mineral mining industries. Every mine provides its own site specific challenges, variations and environment, ensuring a career which provides for continual development, improvement and lifelong learning. Generally speaking, mine surveyors are responsible for the development and maintenance of the entire surface and underground plans of a mine on an ongoing basis. In an underground mine, day to day activities usually entail providing and maintaining the direction of underground workings using advanced surveying techniques and instruments. In an open cut mine, surveyors provide pegs (machine control) to show where excavations shall commence or continue as well as set out drill patterns and monitor the progression of the mine. In both instances, each month (or more frequently) the quantity of work done by the machines or mining contractor's is located using instruments such as surveying GPS (global positioning system), total stations, aerial lidar, photogrammetry (particularly with UAVs) and terrestrial laser scanners to calculate their progression, volume of materials moved and contract earnings. With technology and responsibility changes always on the move, the above statement should not be treated as set in stone.